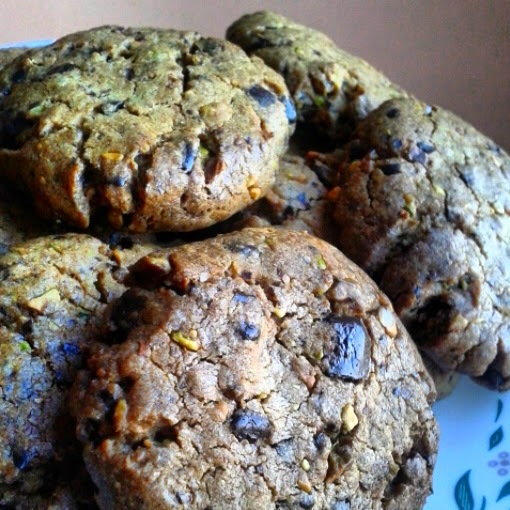 With the first batch coming out more like scones which gave your jaw way too much of a workout to be featured here, I altered the recipe, tried again and Yaaaas! Satisfyingly crunchy on the outside and a cushioning softness on the inside, this healthier alternative, doesn't half please those cold weather cravings! 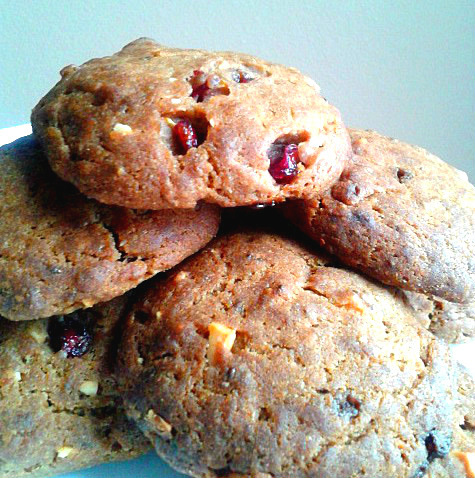 Looking for a different sweet treat to have with your cuppa? 4. 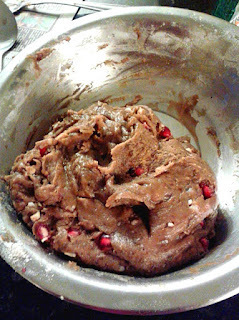 Add the Pomegranate and Cashews and knead till fully incorporated. 5. Take equal sized chunks of the dough (or use a spoon or an ice cream scoop) and shape them into cookies, (with this dough, it is easier to shape them by hand rather than use a cookie cutter). 6. Place them equal spaces apart on a lined tray.